Our Summer Fun Family Getaway includes 7 nights vacation in a Four Star waterfront cottage or resort townhouse equipped with full kitchen, 4 pc bath, living room with TV/DVD/VCR, deck with BBQ and many with whirlpool and air conditioning. 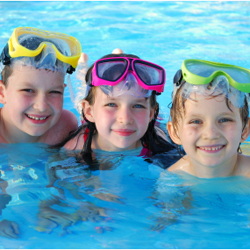 Plus our popular supervised children`s recreation program for ages 4-12 and adult/teen program. Programs start mid June and run Monday-Friday with Kid`s Klub meeting 2 hours each morning and afternoon. The adult/teen program meets afternoons/evenings. Resort facilities; heated pool, sand beach, indoor hot tub, `Hot tub under the stars`, canoes/kayaks, hike/bike trails, variety of recreation equipment, games room, fitness room and more. Our Summer Fun Family Getaway includes 7 nights in a Four Star waterfront cottage or resort townhouse equipped with full kitchen, 4 pc bath, living room with TV/DVD/VCR, deck with BBQ and many with whirlpool and air conditioning. Plus our popular supervised children`s recreation program for ages 4-12 and adult/teen program. Programs run Monday-Friday with Kid`s Klub meeting 2 hours each morning and afternoon. The adult/teen program meets afternoons/evenings. Resort facilities; heated pool, sand beach, indoor hot tub, `Hot tub under the stars`, canoes/kayaks, hike/bike trails, variety of recreation equipment, games room, fitness room and more. The perfect family vacation!